Main Dish, Meats, Side Dish, etc. 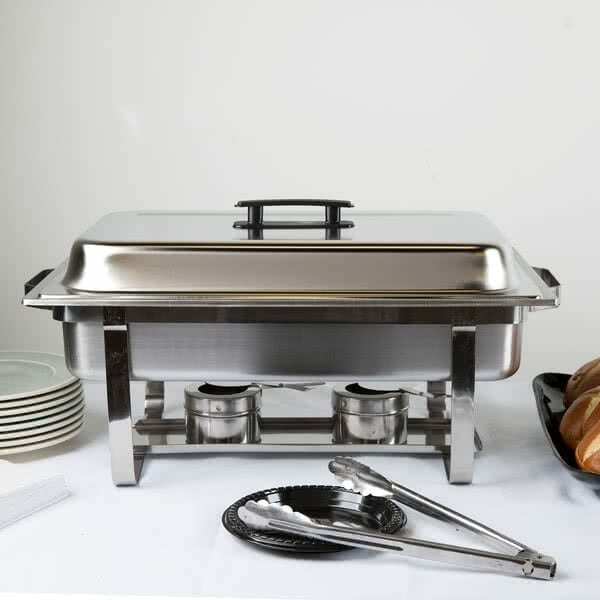 Chafing dishes for your buffet line. Each dish is 8 qt, 4 Part system, all you need is water and sternos. *Rentals to be returned rinsed free of food. Rent platters & trays, tables and tablecloths for your buffet or dinner party. Not sure what you need? View our planning guide to help you plan your party.